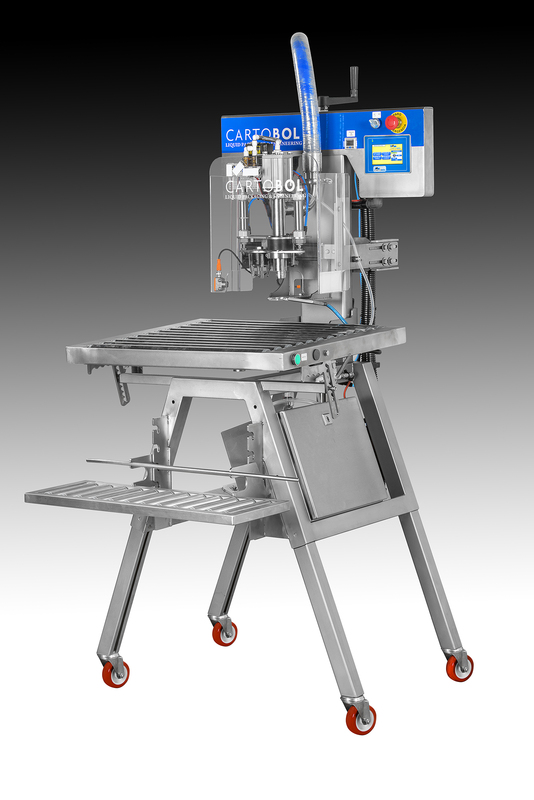 The ECOFILL PROBOX is a semi-automatic filling of user-friendly Decapper and automatic taponador. Structure in stainless steel with adjustable roller table, support for box and wheels. Equipped with pump centrifugal, electromagnetic flowmeter and touch screen. Its electronic and pneumatic components provide you with maximum reliability and performance. System Advanced and intuitive software with extensive features: easy adjustment capabilities, easy adjustment of parameters, CIP cleaning professional, advanced purge operator system will position the bag in a subject and press the setting buttons underway, automatically the machine will proceed to destaponar, make a vacuum of air in the bag, fill and finally perform a nitrogen injection prior to the capping.